Hi. I’m Marette. Thanks for stopping by. Before you go, get to know me a bit more by browsing this page. You’ll be able to see things that are important to me. This website represents my life’s work. 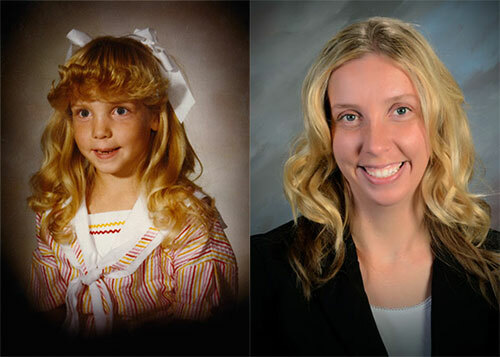 If you can believe it, I’ve wanted to be a social worker since I was six years old. Yes, that’s me at six. At that age, I described my future career by saying "I want to teach people to be nice to each other." Gina Searle and I created the Center for Counseling Excellence in 2012 and I have been in private practice since 2011. I have been working in the field of mental health for 16 years. In its simplest form, that’s what I do and I love it. I got my Master’s Degree in Social Work in 2002 and a Master’s in Business Administration in 2006. Over the years, I’ve learned that life is complicated and each person is unique. There isn’t just a one-size fits all formula for solving life’s problems. It takes creativity, drive, and tenacity to pull through. I consider myself lucky that I get to work with so many wonderful people who teach me what it means to be resilient. I bet you are one of those people. Individual Counseling and Coaching: If you are over age 8 years old, I can work with you on an individual basis in 50-60 minute segments. We can meet in person at my office or over a HIPAA compliant web-cam for your convenience. The cost for these sessions is $110 per hour. Group Classes or Counseling: You might really grow from social interaction and support of others in a similar situation. I facilitate small groups and classes that meet weekly for up to an hour and a half each week. These are great places to practice new skills in a safe environment. To see what classes or group counseling I have going on right now click here. The cost for these groups is $39 per group. Couples Counseling or Family Therapy: I occasionally work with couples and families too. Tell me your situation and if I am not the best fit, I know a great therapist who is and will make a personal referral for you. The cost for these sessions is $120 per hour. Compassion Fatigue Assessment and Treatment: Focused on helping professionals, I can provide fast, quality, confidential assessment and treatment of compassion fatigue and secondary traumatic stress disorder (Vicarious Trauma). I do in-house assessments of compassion fatigue prone work-places and would be happy to make recommendations for your organization. The cost for these sessions is $110 per hour. Emotional Intelligence Testing, Coaching and Recommendations: Would you like to know your emotional intelligence and how to raise it? I can provide the tests and review them with you. I think you will be surprised by how relevant your score is to your personal life and work environment and what a difference it can make when you can raise it! The cost for testing is $50 and the cost for discussing your scores and developing a plan to improve them is $150 per hour. Present at a conference, webinar, or staff meeting: I am an experienced speaker and would be happy to consider sharing my knowledge and experience to your class or group. Contact me to get on my speaking schedule. The cost for speaking engegments varies from free to $300 per hour. I’m not perfect, but I do believe in doing the best work I can. I take what I do seriously. People come to me because they want to see changes in their life quickly. I can help them get the results they want without spending years and thousands of dollars in therapy. To read what people say about the work I do and see client progress case studies, go to my website at marettemonson.com by clicking here. You will see that the money you invest in yourself will be worth it! Addressing and resolving work-related problems/trauma. Helping individuals through adjustment to disability or chronic illness. Teaching groups about what I do best. I do not take cases involving legal issues or disputes. I am happy to refer you to a collegue who can help you. I love learning new things. My goal is to learn, apply what I have learned, and then teach others. 1999 Bachelor of Social Work Brigham Young University. 2002 Master's of Social Work University of Utah. 2006 Master's Degree in Business Administration Westminster College. 2009 Licensed Clinical Social Worker. Liscenced in the state of Utah. Liscence number 6696595-3501. 2011 Gottman Level 1 Certified. 2013 Object Relations Trained from the International Psychotherapy Institute. 2014 Certified Compassion Fatigue Educator, Figley Institute. 2012-2015 EMDR Certification Training from the Mind Body Institute. 2014 Approved Clinical Supervisor from the Center for Credentialing Education. 2014 Certified Compassion Fatigue Educator - Figley Institute. I look forward to learning from you too! I have day-time, afternoon, evenings, and Saturday appointments. So what’s important to me? You are! I’d love to hear from you. Contact me and tell me what you’ve been up to and how I can help at 801-980-1343 or by using the email form by clicking on Request an Appointment below.